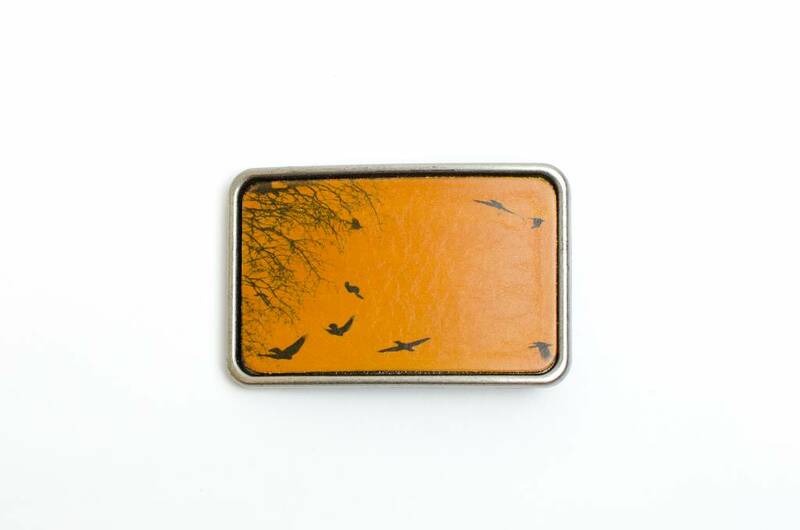 Flock of birds with a tree detail on leather belt buckle by Flight Path Designs. A flock of birds soaring into the sky with a tree detail in the background. 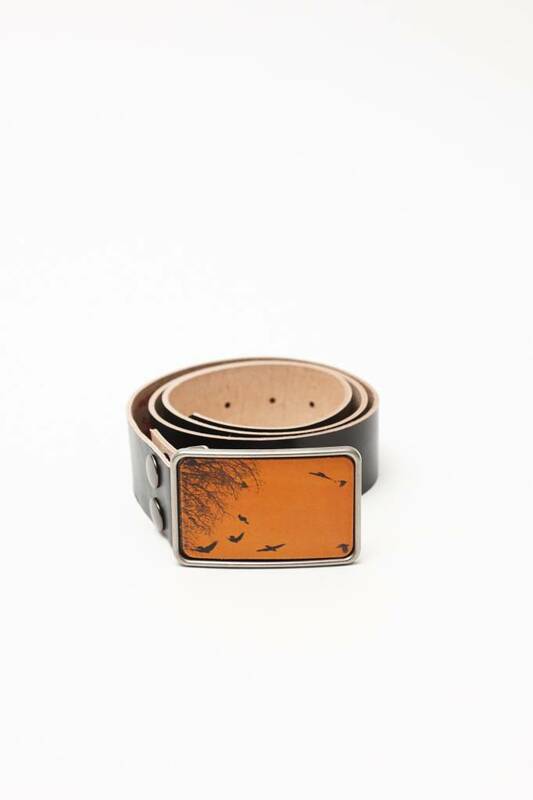 This versatile unisex piece can be worn with your fave pair of jeans, over a long shirt or with a dress. The 'Migration' image is permanently set onto leather using a tattoo process, bringing out the subtle textures of the grain. 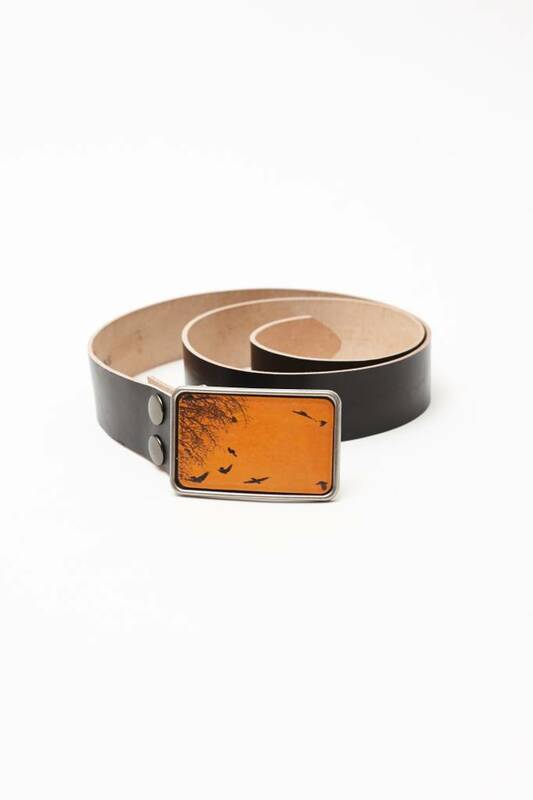 Flight Path finishes the belt buckles with a non-toxic sealant which gives the piece a nice finish and ensures the buckle is completely weather-and wear proof. 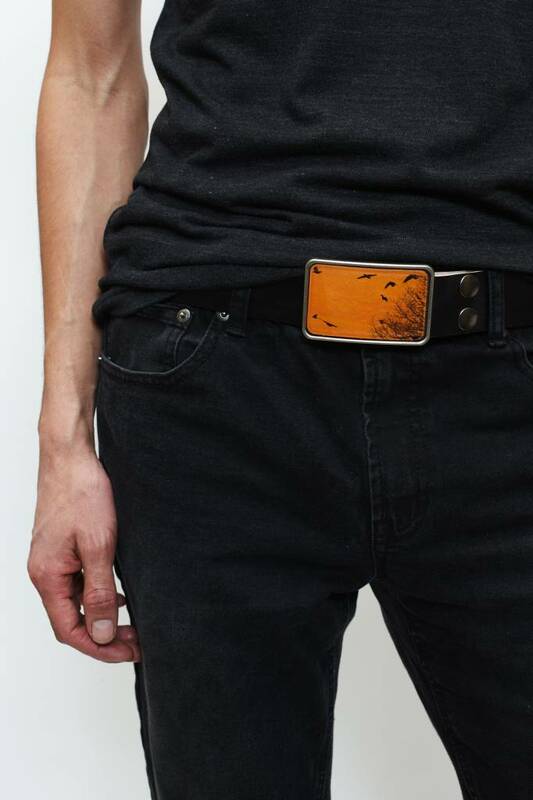 The buckle is meant to be attached to a snap, western style belt-up to a width of 1-3/4". 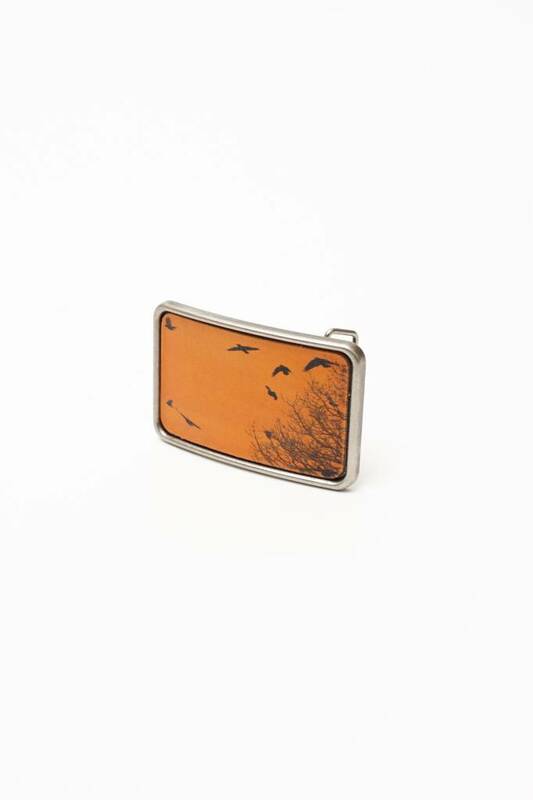 This buckle measures 7.25 cm x 5.25 cm(2.85" x 2.07") and is handmade by Flight Path Designs in Vancouver, BC. 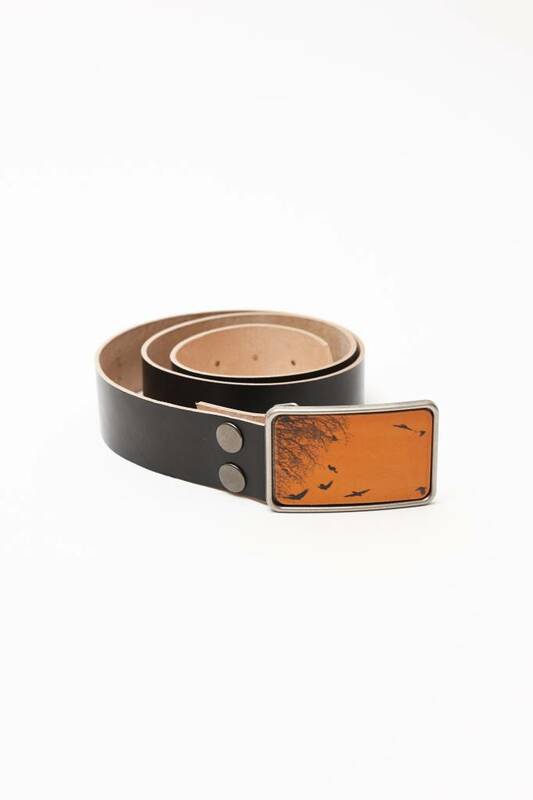 See also Leather Snap Belt.